TOKYO - US President Donald Trump closed his 12-day, five-nation tour of Asia on Tuesday (Nov 14) after having cultivated a host of "bromances" with key leaders. The Straits Times looks at who - among Japanese Prime Minister Shinzo Abe, South Korean President Moon Jae In, Chinese President Xi Jinping and Philippine President Rodrigo Duterte - qualifies as Mr Trump's BFF (slang for "best friend forever") in Asia. 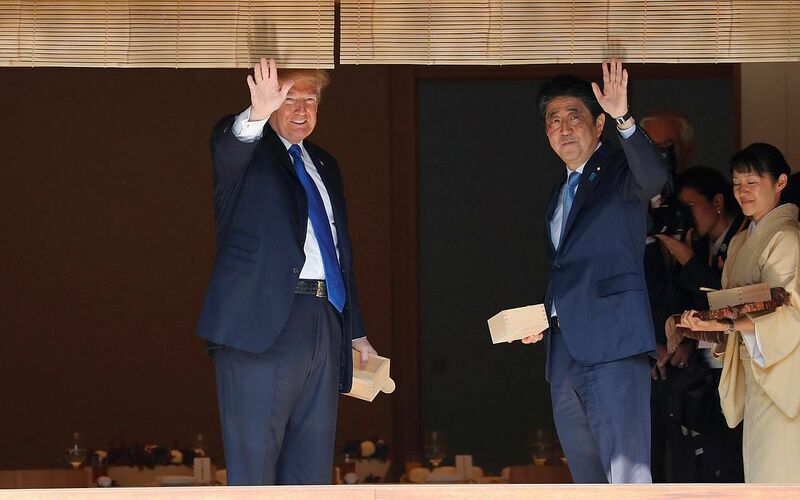 "Donald and Shinzo Make Alliance Even Greater", are the words on a set of caps that Mr Abe gave Mr Trump before they teed off on the greens for a round of golf diplomacy. In Tokyo, Mr Trump lauded his friendship with Mr Abe as "unprecedented" in the history of bilateral ties. Officials in Tokyo have feted their close bond - which began when Mr Abe delivered a gold-plated golf driver to Mr Trump even before his inauguration last year - as unlike the "all business" relationship with former US president Barack Obama. Their very public disagreement on issues such as trade has not stopped them from playing golf together twice, and from wining and dining together over multiple occasions. "It seems that Trump always consults Abe when something happens in the international arena, especially in East Asian affairs such as North Korea," Dr Yasushi Watanabe of Keio University told The Straits Times. Associate Professor Elvin Lim, a political scientist at the National University of Singapore, added: "Mr Abe ranks up there as one of the closer buddies. Geopolitically, this also makes sense since Japan's rival - China - is also America's." But analysts like Ms Shihoko Goto, who studies North-east Asia issues at the Woodrow Wilson Centre's Asia Programme in Washington, felt that the two share an "asymmetrical relationship". Added international relations professor Kim Jae Chun at Sogang University in Seoul: "There's a lot of criticism about Abe's style because he's too subservient, and... like a slave to Trump." 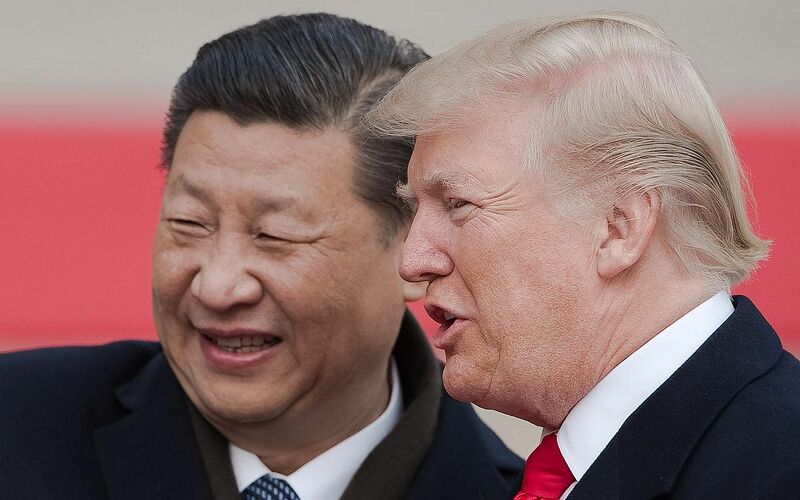 Mr Xi rolled out the red carpet for an unprecedented "state visit plus" for Mr Trump, shutting down the Forbidden City where they had dinner together and watched a Peking opera show. The US returned the favour, with Mr Trump giving Mr Xi a video of his granddaughter Arabella Kushner crooning Mandarin ballads and reciting ancient Chinese poetry. Mr Trump had said on Air Force One, en route back to Washington: "A relationship is always important. It doesn't mean it's necessarily close. It's really a relationship based on respect. To me, a relationship based on respect is much more important than anything else, including friendship." While Mr Trump had all guns blazing on trade prior to his visit, he was also "not one on whom flattery would be lost", Assoc Prof Lim of the NUS said. Added Dr Watanabe: "On the surface they are trying to get along." Ms Goto said that Mr Xi would rank high on the respect scale but low in terms of personal connection. She said: "Mr Trump acknowledges China as the biggest Asian power which only enhances his respect for its leader. But the US has concerns about China's potential and its already well-established position as Asia's hegemon." They shared jokes at the expense of the media, while Mr Duterte, at Mr Trump's request, went on stage to serenade him with a love ballad. The two strongman leaders entered office by "disregarding all forms of political correctness and on this front share a deep personal chemistry with each other", Dr Watanabe said. 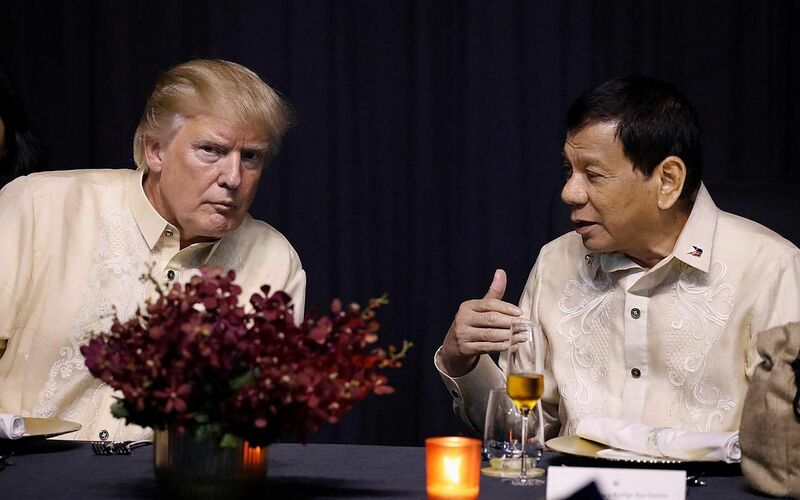 East Asia expert Lim Tai Wei of the Singapore University of Social Sciences noted that bilateral ties, which soured after Mr Obama called Mr Duterte out for his human rights abuses, have been effectively restored. "They share an anti-press humour and worldview," NUS' Assoc Prof Lim added. "They are kindred spirits perhaps because of - not in spite of - Duterte's draconian war on drugs". South Korea, which was the shortest leg on Mr Trump's five-nation tour, pulled out all the stops to make him feel at home. It served him a four-course state banquet, including shrimp caught in waters off the Dokdo/Takeshima islets which Japan contests , and beef ribs served in a gravy made with a "360-year-old soy sauce". Mr Trump was also invited to address the National Assembly. Even so, his visit has been described as "cordial", "by the book" and "business-like", with none of the bluster or impromptu rhetoric common in Mr Trump's dealings with other leaders. 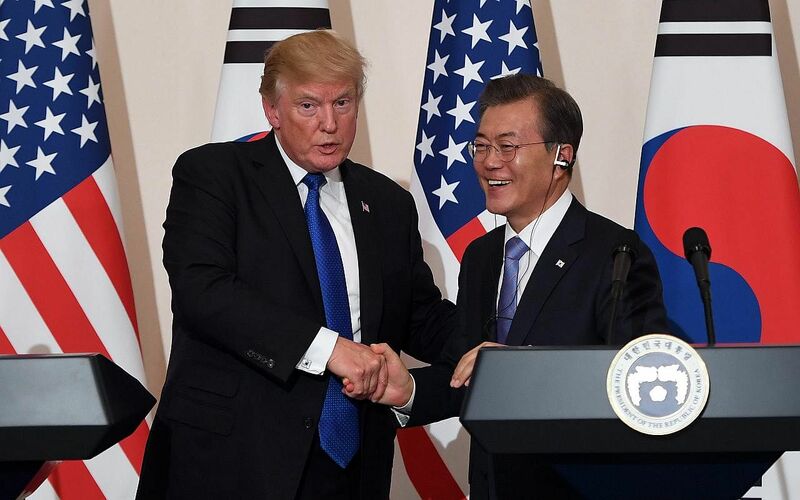 While Mr Moon - a former human rights lawyer - favours a "softly, softly" approach in persuading North Korea to give up its ballistic missile and nuclear development programme, Mr Trump favours tightening the noose to force the North back to the negotiation table. NUS' Assoc Prof Lim said that although Mr Moon wasn't a fan of Mr Trump to start with, "Things were cordial enough because Trump stayed to script."